Manufacturer of a wide range of products which include optical nose pad screw, contact lens case, eye wash cup and microfiber eyeglass cleaning cloth. Soft press-on/clip - on/screw-on/ one piece. Softness for comfort - clear and flexible - avoids irritating slip - one piece is easy to fit on any strape bridge or retrofit frame - suitable for both adults and children. 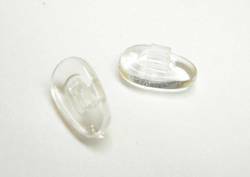 With enormous experience in this domain, we have established ourselves as the most reliable manufacturer, exporter, importer, trader and supplier a wide assortment of Contact Lens Case. Our offered lens case is manufactured by us using top class plastic as per the set market standards. The provided lens case is accessible from us on several sizes & other specifications as per the variegated demand of clientele. 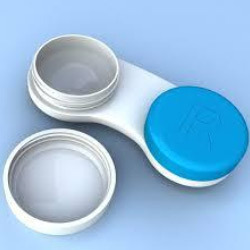 As well, these lens cases is perfect for all soft and semi-soft contact lenses. 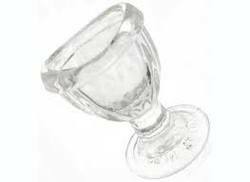 Our enterprise is in the league of prominent firms providing a wide gamut of Eye Wash Cup. This product helps you to take water very comfortable over the eyes & provided as per the need of customers. Also, we provide this product in numerous sizes and other customized options to fulfill the requirements of customers. The offered product is checked by quality controllers so as to deliver a defect free range from our end. Microfiber Eyeglass Cleaning Cloth that is fabricated using superior quality raw material such as synthetic fiber and cotton. Our range of cloths is specially designed and developed by our experienced professionals who ensure that the range conforms to the industry laid norms and standards. 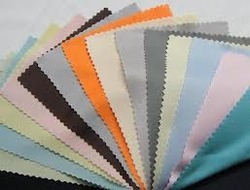 Moreover, we offer these cloths in a wide variety of designs, colors and sizes at reasonable rates. Looking for Optical Accessories ?